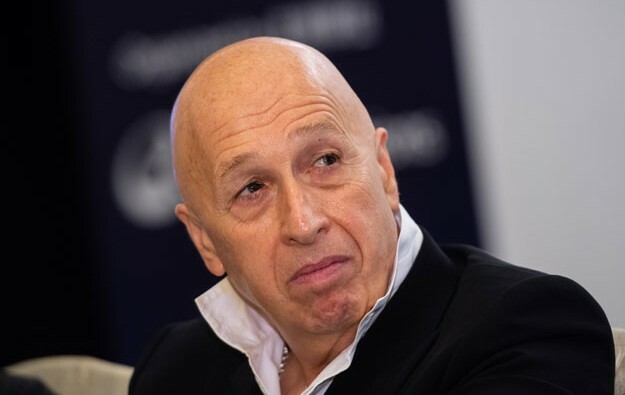 The reshaping of Wynn Resorts Ltd’s board since its founder Steve Wynn’s exit amid allegations of sexual misconduct has been “healthy” for the casino firm and has not had a negative impact on Wynn Macau Ltd’s operations, said non-executive chairman of Wynn Macau, Allan Zeman (pictured). The entrepreneur also said he saw no need for a rebranding of the business to remove the ‘Wynn’ name. Mr Wynn denies wrongdoing. U.S. casino firm Wynn Resorts is the parent of Wynn Macau. “I think the reshuffle for Wynn Resorts’ [board] is actually very healthy: having four women on the board now… Wynn [Resorts] is… not just leading the industry, but most corporations. I think it is a new bold move going forward,” Mr Zeman said during an interview with media on the sidelines of G2E Asia 2018. The women directors of Wynn Resorts referred to by Mr Zeman are Betsy Atkins, Patricia Mulroy, Margaret ‘Dee Dee’ Myers and Winifred ‘Wendy’ Webb. Three of them joined last month. On Monday Wynn Resorts announced the departures of two male directors – Jay Hagenbuch and Robert J. Miller. The firm said in a filing that their boardroom exits – following those of group founder and chief executive Steve Wynn, and of Ray Irani, and Ted Virtue, and the upcoming departure of director Alvin Shoemaker in 2019 – would mean the swan song of 60 percent of the board that had been in place at the beginning of the year. The firm added those steps reduced the median tenure of its directors to fewer than three years. The Massachusetts gambling regulator has earlier this month accepted that Wynn Resorts could remove the name of “Wynn” from the licensing agreement for the under-construction development Boston Harbor casino project. The firm has proposed the alternative name “Encore Boston Harbor”, rather than “Wynn Boston Harbor”, as had previously been mooted. When asked if there would be any rebranding exercise taking place in Macau, Mr Zeman told in the interview: “not at this moment”. “At this moment, in Macau we have Wynn, we have Encore – the same as the other brands, we have Galaxy, Holiday Inn, Venetian…we are always open-minded. If it affects business, definitely [a brand change],” Mr Zeman remarked. “I think Wynn [Macau] is the same as the other [Macau casino] operators. All the operators are waiting for the signal from the government,” Mr Zeman further commented when asked whether the recent turmoil that Wynn Macau’s parent has faced since Mr Wynn’s exit would impact the firm’s chances of extending its gaming rights in the city after expiry of its current concession in 2022. “The Macau government has always been about stability, creating jobs,” noted the entrepreneur. “This industry has a lot of jobs. The last thing they [the Macau authorities] want to do is create instability within the community. As long as you have good [casino] operators that are doing a good job and employing people…I believe that the opportunity will be there for everyone,” Mr Zeman remarked. Wynn Macau is currently working on plans for the phase two for its Wynn Palace resort on Cotai, a project that will be focused on non-gaming, Mr Zeman told media. “We have land on the north and the south side [of Wynn Palace] which have not been developed…we are working on many different aspects. It is about non-gaming, so whether it is a hotel tower, or whether it is some other new aspect that is different and fresh, I think that’s really what we are looking for,” he said.